The effect of natural and technogenic factors on the mobility and transformation of metal compounds was studied from an analysis of the fractional-group composition of Cu, Zn, and Pb compounds in the soils of areas adjacent to the Novocherkassk power station. Changes in the composition of Cu, Zn, and Pb compounds in the soils of technogenic landscapes were estimated. The effect of aerosol technogenic emissions on the mobility of metal compounds was revealed; a higher metal mobility was found in soils with low buffering capacity. Common and specific features of the formation of Cu, Zn, and Pb compounds in soils were determined. 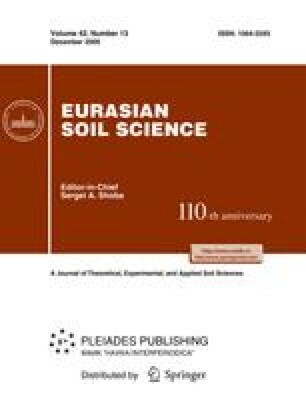 The role of individual soil components in the retention of metals in clean and contaminated soils was established.